Property crimes are on the rise in Washington, D.C.’s Shaw neighborhood, and a little “street sense” can make all the difference in residents’ safety, according to the District’s Metropolitan Police Department. 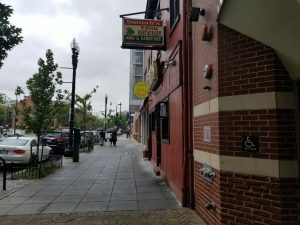 Since 2017, property crime has increased 42 percent in the neighborhood, with the majority of the incidents happening in the U Street corridor known as North Shaw, police reported using District data mapping. According to crime data from real estate company Trulia, there have been nearly 1,500 counts of thefts reported in Shaw over the past year. Property theft, particularly property stolen from cars, has increased because of its convenience, according to Third District Commander Stuart Emerman. 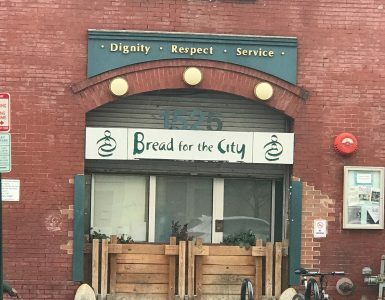 U Street, a local area known for its weekend nightlife, has been hit the hardest, and according to Emerman, the police department works with local businesses in the area to warn patrons not to leave valuables in their vehicles. Community leaders agree that there has been a rise in crime in Shaw, but retain a positive outlook on the neighborhood. 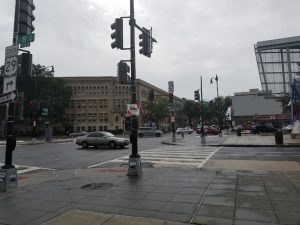 “For the most part, overall crime is down in the Shaw area,” said Anthony Brown, the area’s Advisory Neighborhood Commissioner, a locally-elected representative for Ward 6 of the District. Despite the neighborhood’s crime history, “Shaw is the best place to be,” said Brown, who has lived in the community since 2009 and currently serves as chair of the Zoning, Transportation and Planning Committee. A few simple measures can keep residents from being a property crime victim, according to Emerman. Especially during the holiday season, Emerman said his department witnesses an increase of package theft and theft from cars. Kavon Martez, general manager of Kennedy Recreation Center, has worked in Shaw for the past five years and said he is skeptical of the crime data being reported on the neighborhood. He said he knows everyone in the neighborhood, and it’s hard to believe what’s being reported. Making residents feel safe is important to Commander Emerman, who said District police deploy more officers in commercial areas to deter crime. I am journalism graduate student at American University. I have written for Envision, an award-winning student magazine, focusing on finances for college students. I served as a radio announcer for two years and was an investigative intern at WJLA, the ABC affiliate in Washington D.C. My bachelor’s degree is in communication from Andrews University, I enjoy traveling ask me what is on my bucket list! I’m a public affairs and journalism graduate student at American University, specializing in investigative journalism. I’m interested in topics related to science, technology and minority communities. Life-size panda statues and a cardboard cutout of professional wrestler John Cena are among the unexpected decorations adorning this holiday-themed bar.